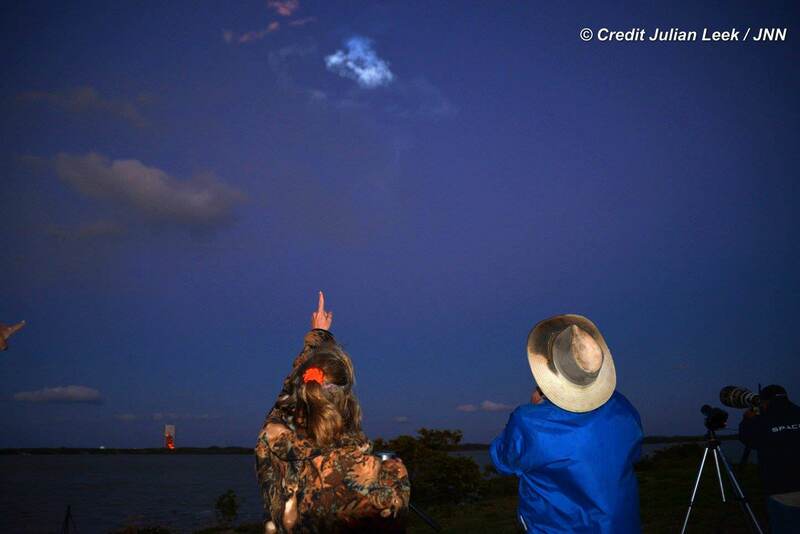 CAPE CANAVERAL AIR FORCE STATION, FL – SpaceX’s Falcon 9 finally put on a dazzling sky show after the commercial booster at last took flight on the fifth launch attempt, shortly after sunset on Friday, March 4, 2014. 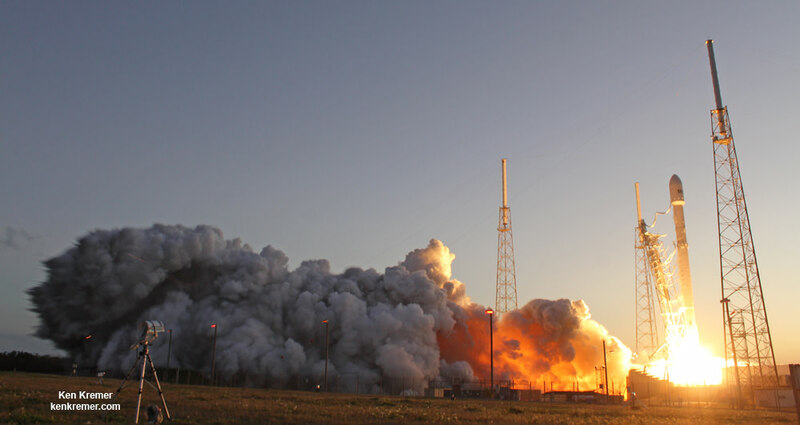 Launches around sunset are often the most beautiful. 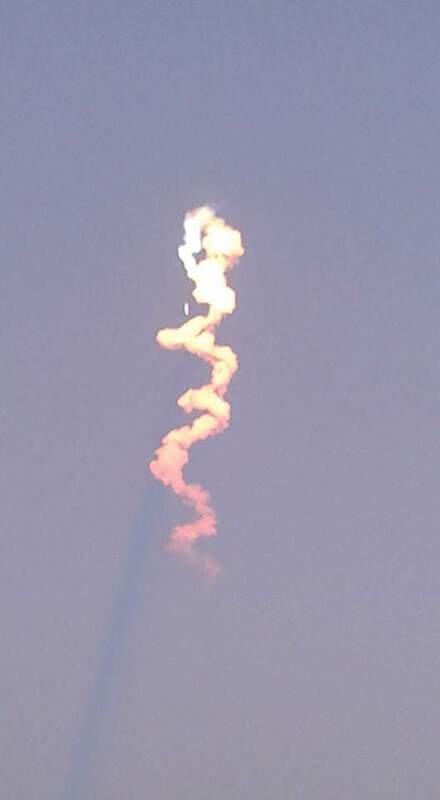 And the coincident clear blue and darkening skies did not disappoint, affording photographers the opportunity to capture dramatic photos and videos with brilliant hues as the accelerating rocket sped skywards to sunlight. 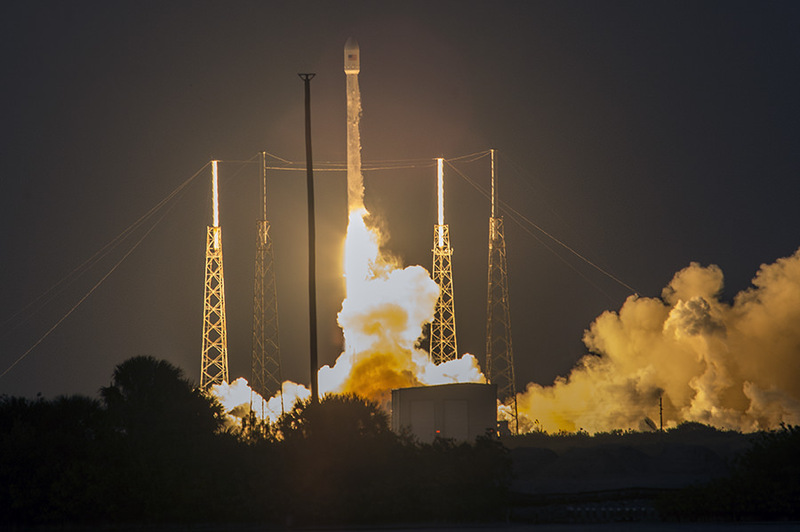 The primary mission for the SpaceX Falcon 9 mission was to carry the SES-9 commercial communications satellite payload to orbit providing services used by everyone 24/7, such as cable TV, high speed internet, voice and data transmissions. SES-9 is the largest satellite dedicated to serving the Asia-Pacific region for the Luxembourg based SES. With its payload of 81 high-powered Ku-band transponder equivalents, SES-9 will be the 7th SES satellite providing unparalleled coverage to over 20 countries in the region, says SES. 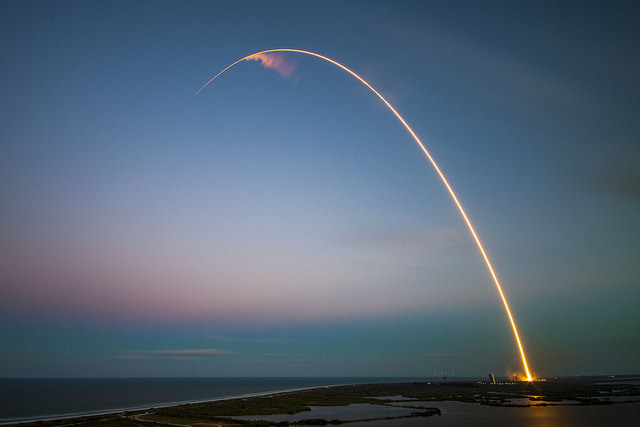 Enjoy the gorgeous and expanding collection of launch photos and videos herein from myself, colleagues and friends. 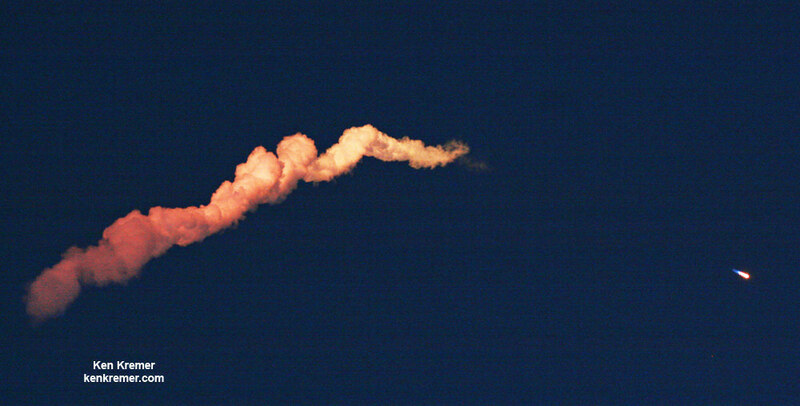 The view was so clear that we could see the separation of the first and second stages, and opening and jettisoning of the payload fairing halves. 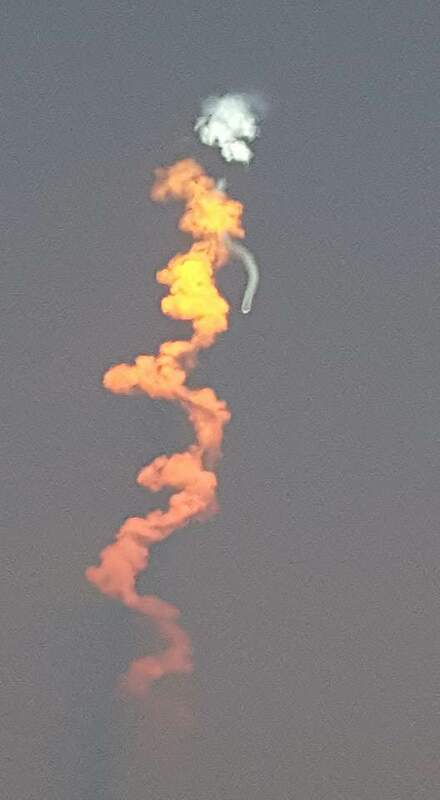 Strong high altitude winds, difficulties loading the super chilled liquid oxygen propellant and boaters who apparently ignored warnings forced a total of four postponements from the originally intended launch date nearly two weeks earlier on Tuesday Feb. 25, 2016. 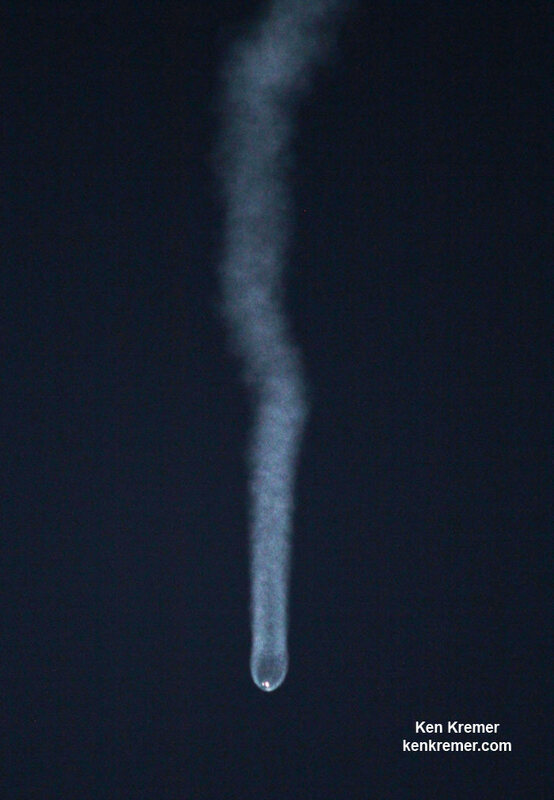 But with a forecast of 90 percent GO weather and moderating upper altitude wind, the SpaceX Falcon 9 soared aloft right at the opening of the launch window. See the ignition and liftoff and initial powerful puff of exhaust up close – from my remote launch pad 40 camera above as pyros fire and the umbilicals separate and fly away from rocket. Check out these pair of launch videos taken by Mobius wide angle remote cameras set up close around the SpaceX pad at Space Launch Complex 40 on Cape Canaveral Air Force Station, FL. 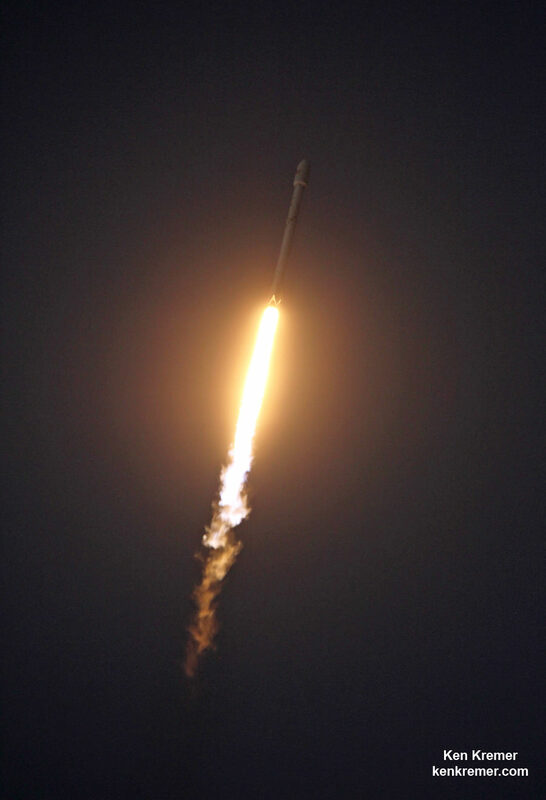 The SES-9 launch marked the second successful Falcon-9 launch in a row during 2016, and the first of this year from Cape Canaveral. The Boeing built SES-9 satellite has a dry mass of 2,835 kg and a fueled mass of 5,271 kg. The huge satellite sports a wingspan of 48 meters with two solar wings. In addition each wing is outfitted with six additional solar panels on each wing. Discomforting to see the rocket wiggle around while on the launch pad, and its support tower too after it has launched and scorched it. But I suppose this stuff is made to handle it. It does work, although one would never believe it on paper.